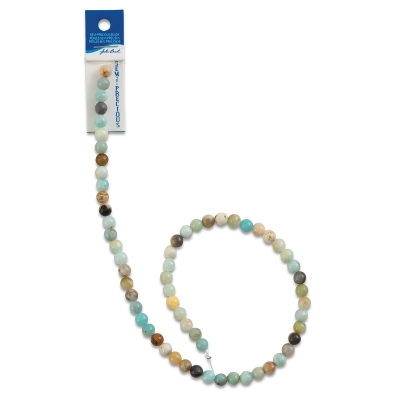 The John Bead Semi-Precious Beads collection features a variety of natural stone beads strung in either 16" strands or smaller, accent quantity packages. The beads are round and have consistent, nicely shaped stringing holes. An extremely soothing stone, Amazonite has a powerful filtering action. It blocks the earth's vibrations, absorbs microwaves and cell phone emanations, and protects against electromagnetic pollution.